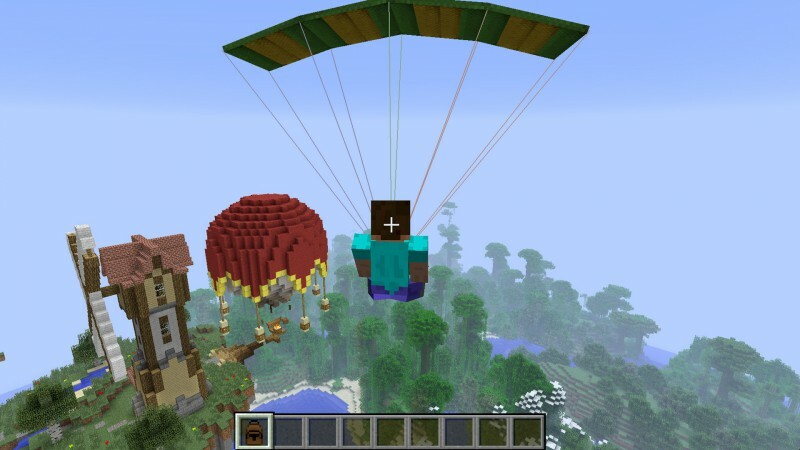 The Parachute mod allows you to jump from high places and to control your decent. Now Minecraft base jumping is possible! The parachute pretty much steers just like the boat. Only difference is that it’s not as easy to tell where the front of the chute is.